Melissa and her beautiful family are facing a trial. Her Hero of a Husband is being deployed in August. This Family Film has been on her to-do list for a while. 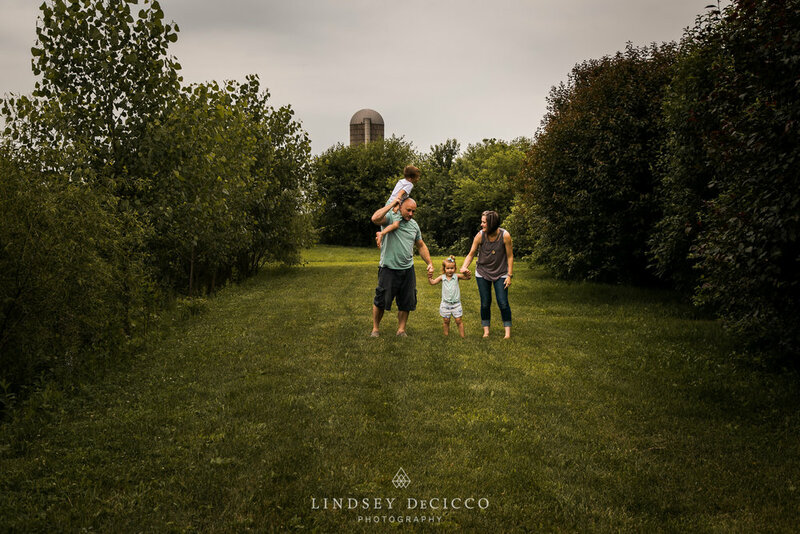 The call for her husband's deployment moved it from the back burner to the must do list! 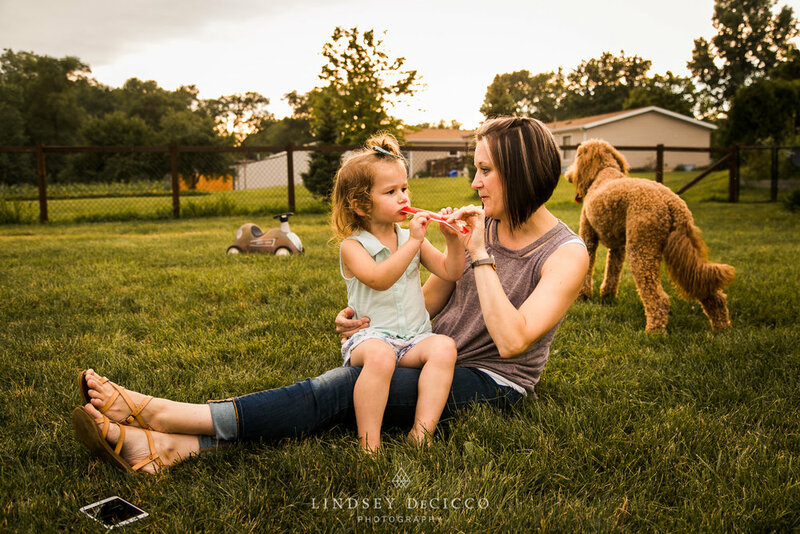 While she loved having an indoor session done this winter, she really wanted to record the summer evening moments she enjoys with her family. Since they have a sprawling property with a fishing pond, they spend a lot of their time outside. We fished, played on the swing set, ate popsicles and even did a little mowing. So there we are at the mall, supposed to be a fun day selecting what we are going to wear for our “happy family photos” and I’m looking in every direction but my childrens bc my eyes were filled with tears - We were just completely taken back. He was scheduled to deploy for 9-12 months. We managed to get through the shopping trip and over the next few days we informed our immediate family, our closest friends and our Pastor and Small group. I kept it together for Shawn bc I know thats just what you have to do - His heart was being torn a part at the thought of being away from our babies for that long. I had a few private moments were i just lost it - Thank GOD for my dear friend Courtney who just let me bawl on her shoulder in the Pre-School parking lot - I NEEDED to just let it out and have a good ol ugly cry and then I picked myself up and back to being as strong as i could. That week Shawn had to signed and fill out the paperwork requested of the Army and it was all seeming so real. There however was a spot on the paperwork that asked “Do you have any medical issues that we need to know of” Well - honestly - yes he did. Earlier this year he had FINALLY (insert the over annoyed naggging wife tone here) 😉 But he had finally went and got an MRI done on his ankle that he seriously injured VERY badly over seven years ago and still to this day just deals with the swelling and the pain. The dude is a beast. I have zero pain tolerance - he’s like “yeah i have two fractured ankles but im good i can still play ball” He’s just used to dealing with the pain. Well - anywho to make this portion of the story short - after seeing an orthopedic surgeon after the MRI he needs an extensive surgery. Like out of 10 weeks recovery type of surgery. No weight for 6 weeks and light weight the following 4 weeks - oh and its his right ankle so no driving either. So of course with our busy schedules, the yard work etc he just opted to weight until the end of fall and have the surgery done at the start of winter and that was that. So we moved forward with going on our very first family vacation together and TRIED our ABSOLUTE best to not even think about the “D” word. We had an THE BEST time!! SO much fun and our family portraits truly were amazing!! I will forever look back at those images to know that even when we were in the midst of a major trial - we, together, were making the best and cherishing every day we had left! It was on our way home, we literally were driving through a very bad storm and I was quickly reminded of the storms we had previously faced and the storm that was coming. And then I remembered to pause and pray. And I was IMMEDIATELY at peace. And I said to Shawn during our drive “You know babe, no matter what happens, if the Army decides to not accept you because of your ankle or even if they do and you have to be gone for 9-12 months, I’m just at peace with this” I thought either this is a big test from God to trust him during the trials or this was God’s way of protecting Shawn from a worse more dangerous deployment that could potentially be coming. EITHER way - I was at peace. Yes I was sad but my peace seriously out weighed the fears. We proceeded to begin telling a few others, getting affairs in order, notifying MFD, lining up help for me while he was gone (Our small group though....at Community Gospel Church - like mind blowing amazing, the lawn mowing going to be covered, and the ladies taking turns watching the kiddos while i have sessions shooting - WE ARE so blessed) But preparing our kiddos for this the best way we knew how, has been heart breaking, they asked so many questions, Meadow “Daddy will you be here for my Birthday” “no sweetheart i’m so sorry i wont be here for your Birthday.” She seriously dropped her head and cried - it was SO awful. They are only 2 and 4 - some feel because they are younger it’s better bc they wont really remember it - but my goodness - living in it is SO awful. They just dont understand. SO much to be missed during this one. Brockstons, 1st day at Pre-K, our anniversary, Brocks Birthday, all the holidays, Meadows Birthday, His brothers wedding in Arizona, the trip/wedding in Hawaii - like UGH!!! Just the reality of it all STINKS!! 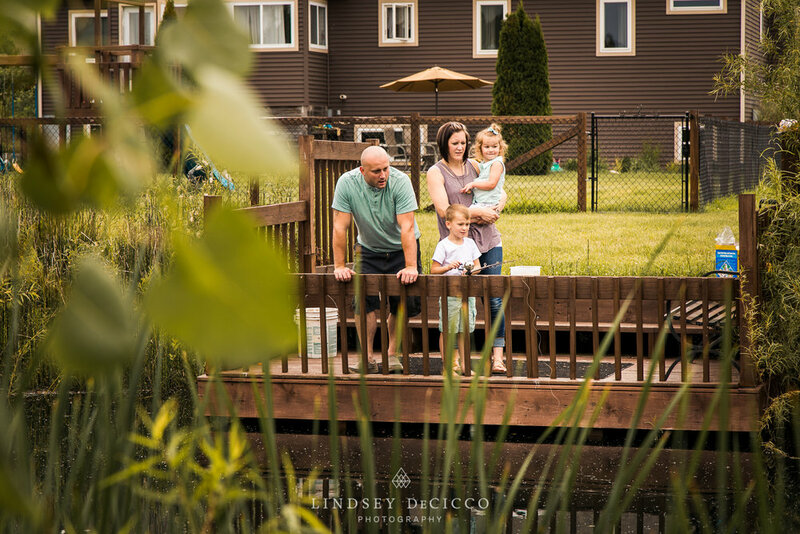 We had been wanting to do another family film with my friend Lindsey DeCicco of Lindsey DeCicco Photography of us outdoors, enjoying our property, fishing, playing in the back yard and just doing all the things we love to do. So with this looming deployment I wanted to do even more - So I called her up - Couldnt get through the first sentence without crying but she was 100% making herself available to us and then had a really sweet idea for Shawn to write and read two letters to the kiddos during our film. After receiving this film, my gosh you guys, this girl has a true gift, we could NOT be more pleased with how it turned out. It is truly such a beautiful gift for us to have for our children to watch while Daddy is away, and for us to look back on for many many years and for us to remember just how hard life as a military family truly is. YOU GUYS WHAT???!!! It’s like that post was sent right from God, through her to us! MY goodness did I ever feel so loved in that moment. NO WAY!!! NO WAY!!! NO FREAKING WAY!!! I couldnt even call him i was standing up starring at my computer and just started laughing, like of course followed by crying tears of joy like i never have before. The kids came running over to me “mommy mommy what are you crying?” All i could say was “Because God is SO GOOD!!! GOD IS SOOOO GOOD” I fell to my knees and just held them and cried and laughed and lifted my hand high in the air and PRAISED THE LORD like I never had before. So today, I say to you: Are you in a waiting place right now? Because I encourage you, as Lysa did me - give it all over to God - TRUST in Him!!! Believe in Him!! Because God is GOOD ALL OF THE TIME!!! And I will continue to be a walking, living, breathing testimony of His Amazing Grace!! !